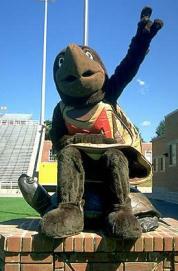 Transfer Credit Services (TCS) oversees the evaluation of undergraduate transfer courses for acceptability by UMD. It is the academic department (administering the course content) that completes the evaluation to determine the acceptability of the courses for transfer to UMD. A transfer course CANNOT be applied toward satisfying a degree requirement until the course has been deemed acceptable for transfer by the University of Maryland. Student has NOT been admitted to UMD, but has completed transfer coursework at another institution. Student has been admitted to UMD as an undergraduate degree-seeking student and has completed transfer coursework at another institution prior to enrollment at UMD. Student has NOT been admitted to UMD, but has completed transfer coursework at an international institution. The student must apply for admission to UMD AND be admitted as an undergraduate degree-seeking student before the transfer evaluation process can begin. Student has been admitted to UMD as an undergraduate degree-seeking student and has completed transfer coursework at an international institution prior to enrollment at UMD. Student is currently enrolled at UMD and will be requesting to take courses at another institution away from UMD through the Permission To Enroll process. Student is currently enrolled at UMD and will be requesting to take courses at an international institution. Please note ALL current students wanting to enroll at an international institution must work with the UMD Education Abroad Office to be awarded transfer credit.